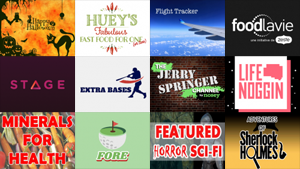 We reviewed 35 new Roku channels this week, with content in the categories of Fitness, Food, Kids & Family, Lifestyle, Movies & TV, News & Weather, Religious, Sci & Tech, Screensavers, Special Interest, Sports, and Travel. 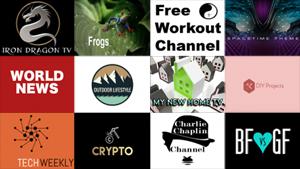 We've reviewed 25 new Roku channels so far this week, with content in the categories of Fitness, International, Lifestyle, Movies & TV, News & Weather, Religious, Sci & Tech, Screensavers, Special Interest, Sports, and Themes. 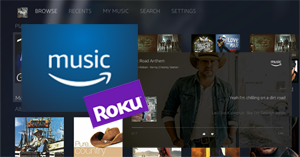 Roku users who also use Amazon Prime Music and Amazon Music Unlimited services will be thrilled to know that Amazon has finally updated the Amazon Music channel on Roku. Actually, "updated" is an understatement - Amazon has created an entirely new app. Weather Underground recently removed its app from Roku, so we thought it time to revisit our Best of Roku listings in this category. The demise of WU on Roku came as no surprise considering the entire WU product line has been in decay for some time. But former WU fans shouldn't despair. 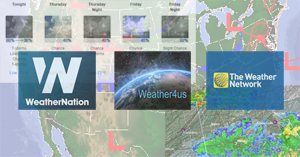 If you're looking for weather information, Roku still has you covered, with channels that provide live video reporting, current local conditions, forecasts, local and regional radar, and national weather maps. Roku, Inc.'s war on piracy has resulted in the shutdown of several popular niche channels like XTV, USTVNow and cCloud, but nobody expected giants like Netflix, YouTube, and FoxSportsGo to get caught up in the anti-piracy crackdown. That, however, is exactly what happened on Tuesday. We recently added five channels to our Private (Non-Certified) Roku Channel directory. 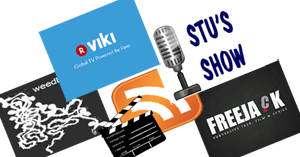 You'll find interviews with classic TV celebrities; global TV shows, movies, and entertainment news; conspiracy talks shows and movies; podcasts from CNET, NASA, TWiT, TED, and others; and live TV streams from France, Netherlands, Cyprus, Haiti, Lëtzebuerg, and Berlin. The WatchESPN app on Roku has been rebranded and is now just "ESPN." 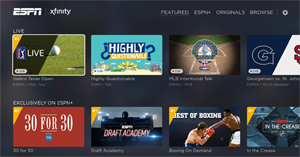 The user interface is also sporting a new look, but the biggest update to the app is the addition of the ESPN+ subscription service. 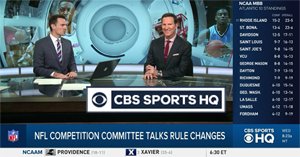 CBS has launched a new 24-hour streaming sports news network, CBS SPORTS HQ, that features live, anchored news, highlights, and analysis for all major sports. The CBS SPORTS HQ channel replaces the old CBS Sports channel on Roku, and is available as an app on other devices. CBS SPORTS HQ is free to all users, with no pay TV subscription required.